Tucson Daily Photo ~: More photos for "Where is this?" Here are two more photos to help you figure out "Where is this?" restaurant. The top photo is the view as soon as you enter. 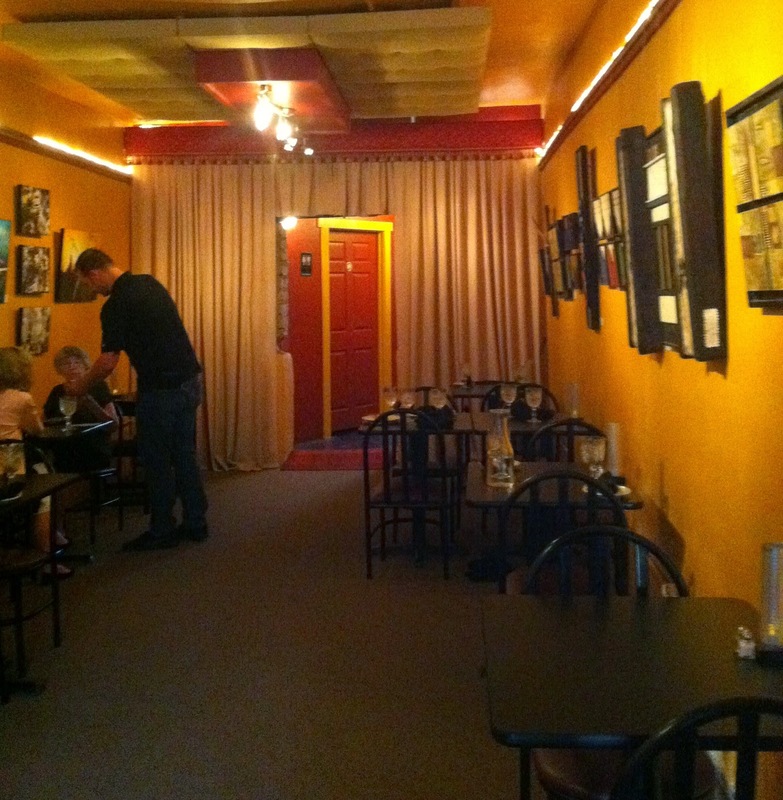 The dining room with celebrity portraits (photo from previous 2 days) is off to the right. 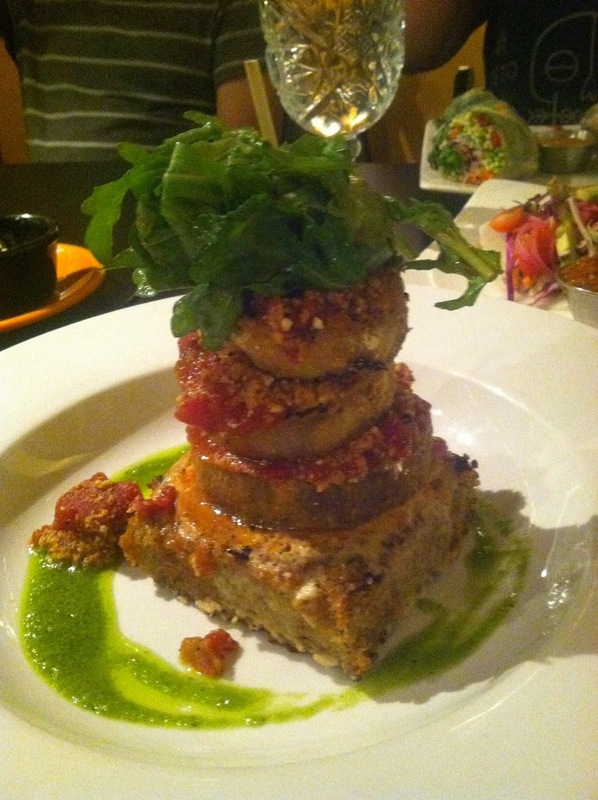 The bottom photo is one of our entrees - an eggplant and polenta tower. SO - any more guesses? Tomorrow I will reveal all if no one knows. Good luck! now i am really curious! I've never seen a restaurant with lounge sofas on the ceiling. I'm curious, too. sorry, I just don't get out enough for good meals at great restaurants; wish I knew!